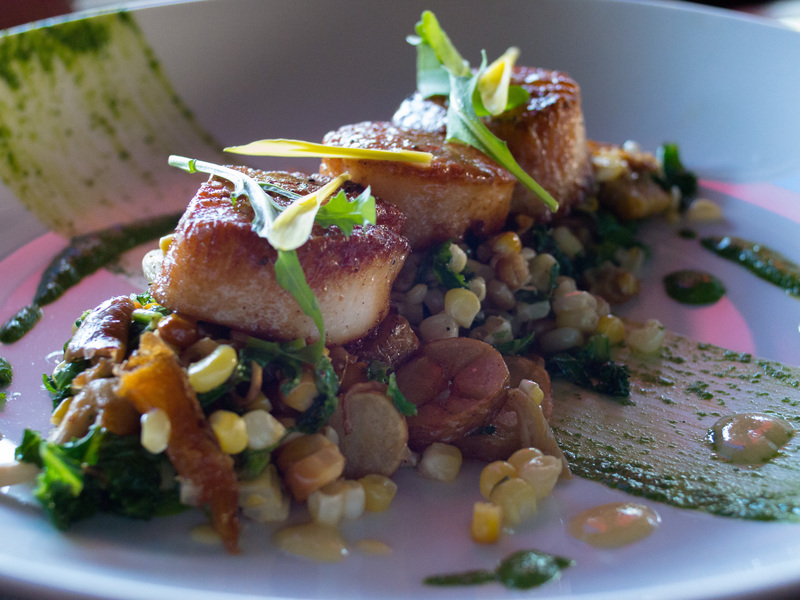 Catch tonight is three U10 scallops with smoked local corn, Benton’s bacon, local kale, local fingerling potatoes, local oyster mushrooms, local arugula pistou, and local sweet corn puree. Lots of local! 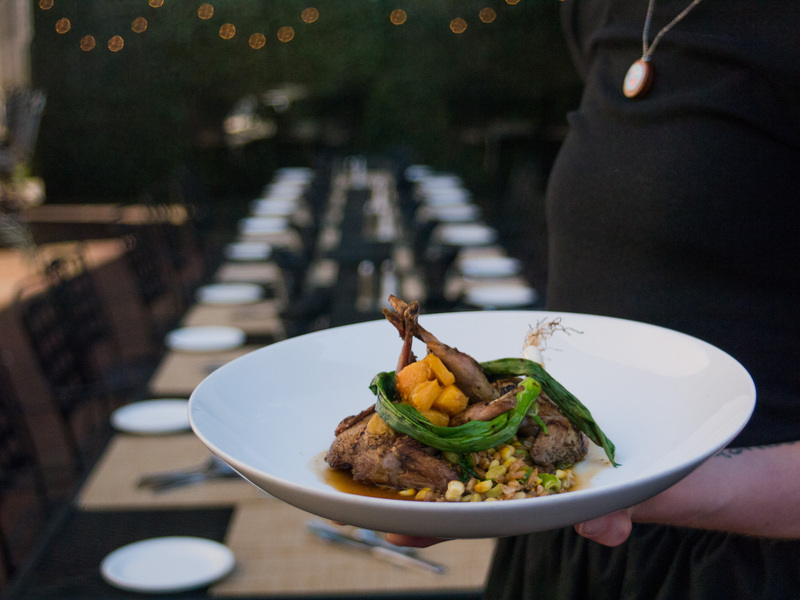 Wood grilled Plantation Farms quail served with smoked corn, field peas, grilled scallions, heirloom farro, pickled peaches, and bourbon jus. Absolutely delicious. Call ahead for seating availability tonight. 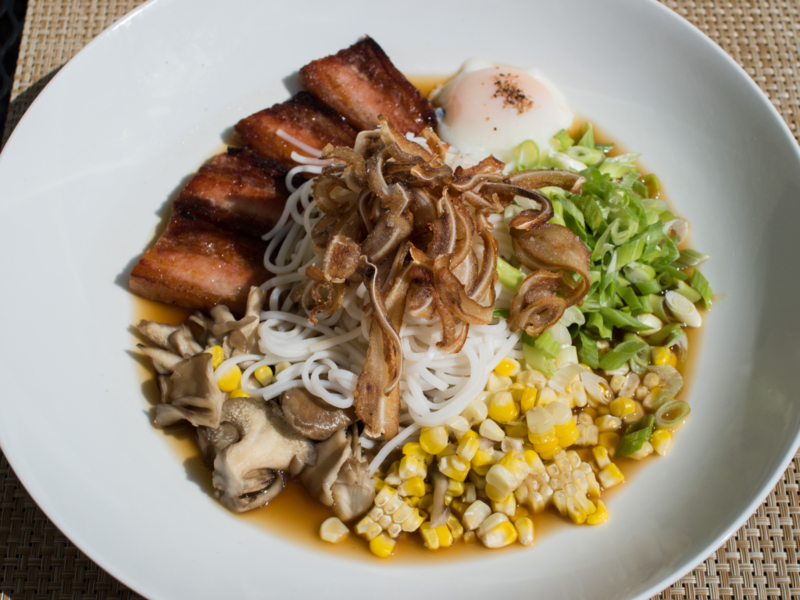 Heritage pork belly ramen with traditional ramen broth, roasted corn, soft poached egg, hen-of-the-wood mushrooms, scallions, nori, and crispy pigs ear… All local except the noodles. Wow! 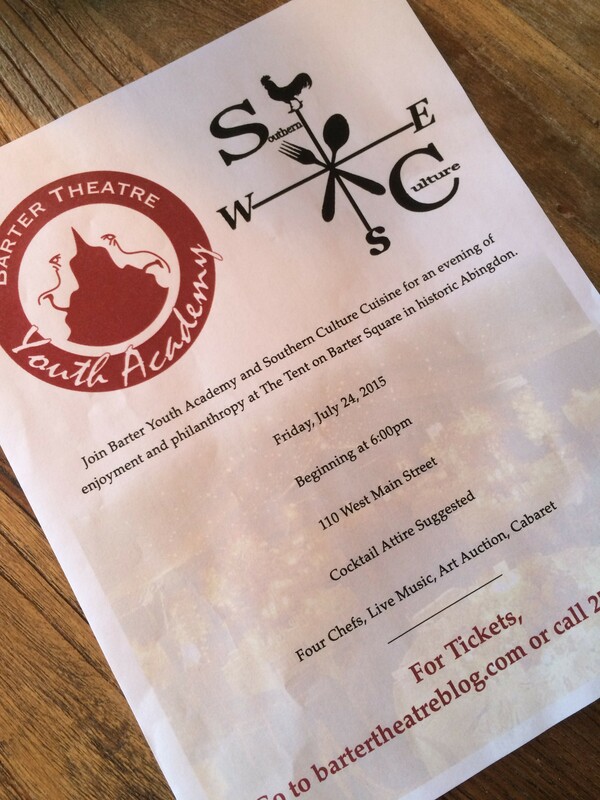 Southern Culture is excited to partner with the Barter Youth Academy for the sixth dinner in the Southern Culture Cuisine series. Southern Culture Cuisine’s Cabaret will feature four talented chefs from across the Tri-Cities. Our featured chefs include Jennifer Raichlin of Healing Meals in Bristol, John Bryant of Gourmet & Company in Johnson City, Todd Baxter of Chick-n-Little in Abingdon, and Phill Powers of Sisters American Grill at the Martha Washington Hotel and Spa in Abingdon. A cash bar will be provided by the Barter Theatre. In addition to the delicious food, the event will include a live art auction featuring an amazing line-up of artists. Stay tuned for more details! Music for the evening will be provided by Ben Casteel & the Boys with special guest Evie Andrus. Special entertainment for the evening will feature a cabaret performed by BYA students and alumni. This fundraising event will help support Barter Youth Academy’s continued mission to provide an extraordinary theatre education and exceptional experience to all of the regions BYA serves. 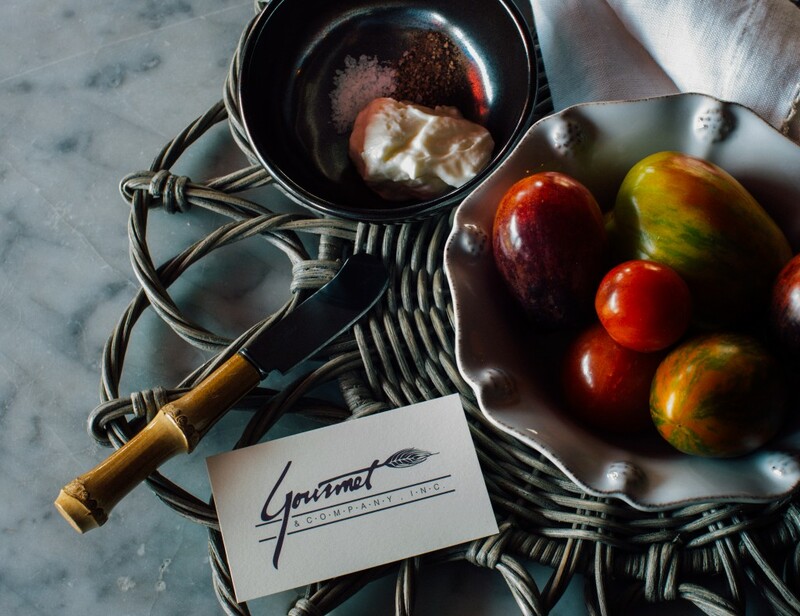 For those not familiar with the Southern Culture Cuisine series, each of the events is a unique celebration of local food, art, and music that benefits a charitable organization in our region. We hope you will consider joining us for this one-of-a-kind experience! Appetizer tonight is an all local heirloom tomato summer salad with roasted corn, lady peas, radishes, served over arugula, topped with Nickajack cheese in herbed yogurt pesto. 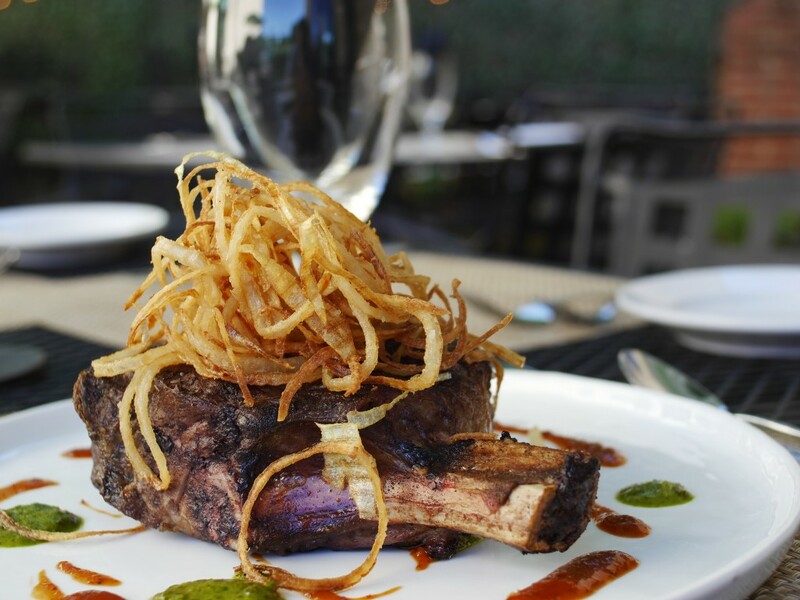 The Jilton Vegetarian, a menu regular, that beginning now and running through the summer is all locally sourced. Tonight the Jilton includes squash blossom, fried Three Graces chèvre, popcorn shoots, zucchini, squash, shiitake mushroom, corn, snow peas, sweet onion, farro, and kale. 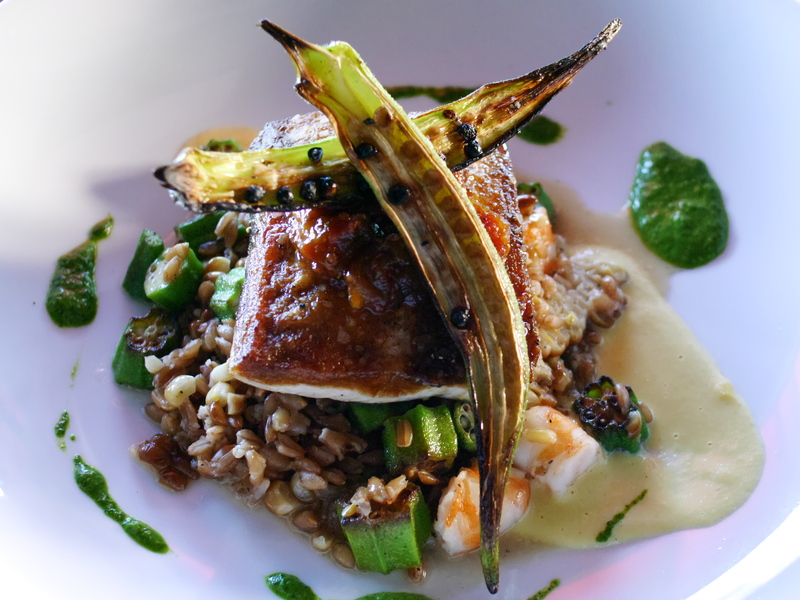 The only thing not local is the farro. Local tomatoes and corn are finally beginning to arrive!